Dinamo = dynamics = conductism? Energy is more animalizated than animalist or animist. But movement is properly magic. Hi, you’ll have to excuse me for this non-engineering question..but we – the laymen guys are looking for real pictures which we will be able to see with our human eyes..in other words, beside collecting magnetic data, will the Cassini try take also some “real” pics while getting near the Titan ground? This will certainly be an exciting time! I have been consistently checking NASA’s website to see if there are any results. 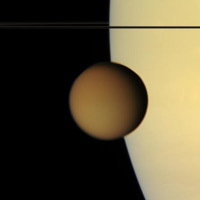 Do you think that it is probably that Titan can harbor Methane based life organisms?